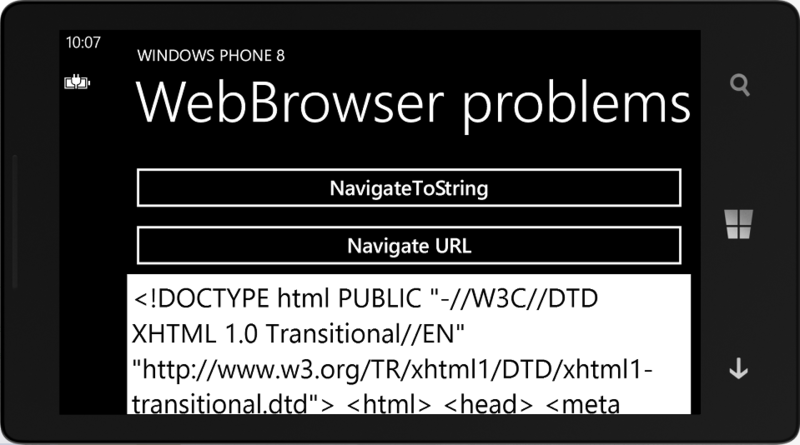 The WebBrowser control in Windows Phone 8 has one serious problem: It sometimes forgets to render the HTML. This happens with the NavigateToString-method, Navigate-method works fine. 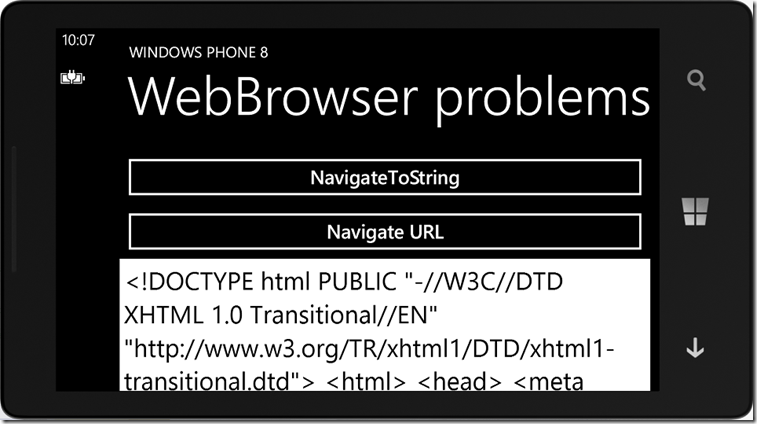 Unfortunately though this problems also affects the Windows Phone 7 apps deployed to Windows Phone 8 phones. After the repro, the bottom part of this post shows one hack which gets around this problem. Here’s a simple repro of the problem. 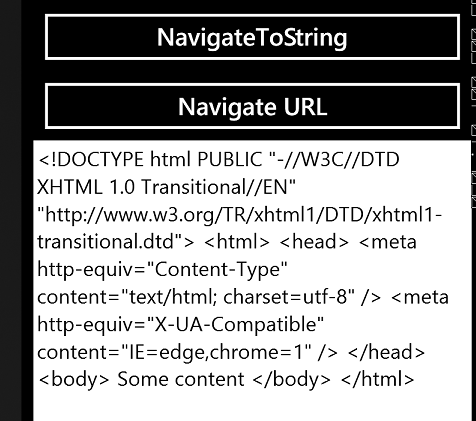 The program can display the HTML page either by navigating to the URL or by downloading the content to string and using the NavigateToString. 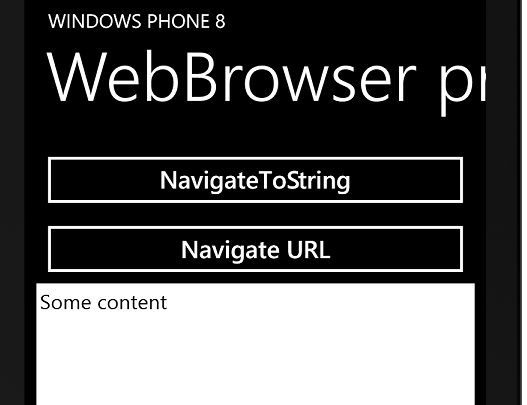 The same app has been deployed to both the Windows Phone 7 and Windows Phone 8 emulators (this problem is visible also on the real devices). The problem seems to be related to the HTML meta tags. 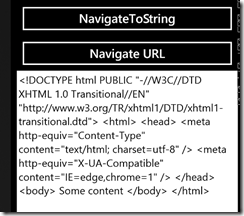 The test HTML has two meta tags and if either of them is removed, the page is displayed correctly. Here’s a solution which gets around this problem. It’s not beautiful by any means but it seems to do the trick.